Welcome to the community of organizations committed to a higher vision for identity and a safer environment for online transactions! The Identity Ecosystem Steering Group (IDESG) was a voluntary, public-private partnership and was the only independent body dedicated to redefining how people and organizations identify themselves online, by fostering the creation of privacy-enhancing trusted digital identities. We worked to bring all netizens – consumers, educational institutions, online businesses and governments alike – into the thriving marketplace for strong, secure online identity credentials. 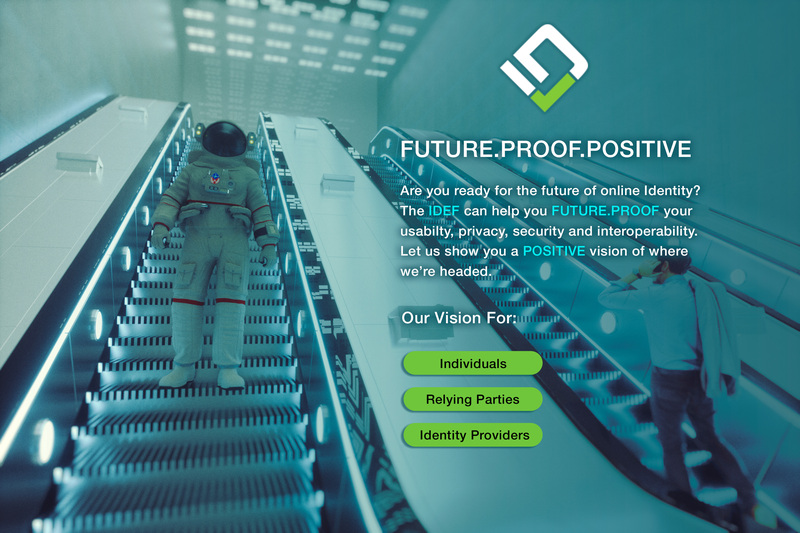 The IDESG was the only place where all identity policy influencers worked together – public and private sector, industry and academia – shaping the future of online identity by developing Identity Ecosystem Framework (IDEF), a protective array of standards, best practices and agreements. This site was originally developed and maintained by the Identity Ecosystem Steering Group, Inc. (IDESG at www.idesg.org) with the support of the National Strategy for Trusted Identities in Cyberspace (NSTIC) National Institute of Standards and Technology (NIST). The views expressed do not necessarily reflect the official policies of the NSTIC or NIST; nor does mention of trade names, commercial practices, or organizations imply endorsement by the U.S. Government. The National Strategy for Trusted Identities in Cyberspace (“NSTIC” or “Strategy”), signed by President Obama in April 2011, acknowledged and addressed a major weakness in cyberspace – a lack of confidence and assurance that people, organizations, and businesses are who they say they are online. The NSTIC called for the establishment of a private sector-led Identity Ecosystem Steering Group (IDESG) to administer the development and adoption of the Identity Ecosystem Framework. The IDESG received its authority to operate from the active participation of its membership in accordance with the Rules of Association (ROA). TFS was selected as the Secretariat to serve as the administrative arm of the IDESG. As of June 25, 2018, Kantara Initiative and the Identity Ecosystem Steering Group (IDESG) jointly announced that Kantara would take on the work artifacts, current workstreams, committees and membership of the IDESG* as of July 31, 2018. The work of IDESG will continue to be operated by the Kantara Initiative in the IDEF Working Group with the IDESG brand retained for selected US facing activities.